Fit: This style runs larger, please order half a size smaller than the normal size. 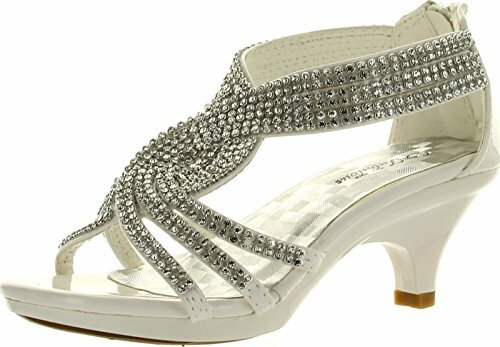 Features: Open toe, light weight, low heel, with dazzling rhinestone ankle strap and slightly padded sole add comfort and easy walking. Finished with zipper closure for easy slip on/off.